This is a two-part travel series on a weeklong journey to the new European capital of culture, San Sebastian, Spain, and through the heart of the country’s capital, Madrid. – Ed. 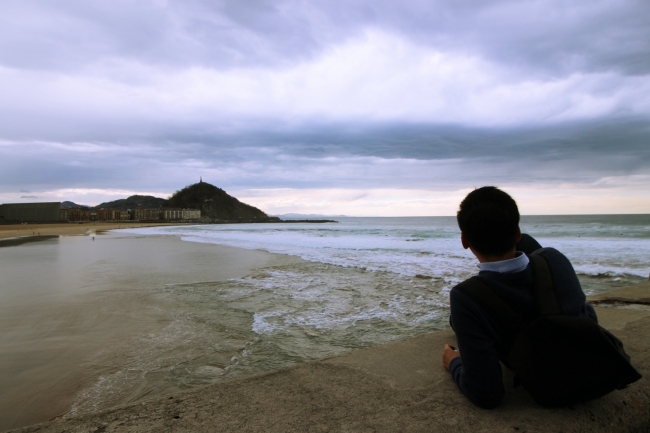 SAN SEBASTIAN, Spain -- Located a mere stone’s throw away from the Spain-France border in the Northern Basque country hugging the Bay of Biscay is the quaint, gastronomy mecca coastal city of San Sebastian, Spain. Well on its way to becoming one of the hottest European vacation-spot destinations of the year, San Sebastian -- or Donostia in the Basque language -- in the Gipusoka province of Spain was named the European Capital of Culture for 2016, along with Wroclaw, Poland. A well-deserved title, the city is oftentimes upstaged by its fellow northern coastal paradise of Barcelona to its east, however, the countryside splendors of Donostia are more than enough to stand on its own as a must-visit Spanish town for some much needed R&R and heavenly culinary escape for your palate. While the tourist hot spot of Barcelona is best known for its crisp blue beaches and its salute to the rainbow-colored mosaic works of Antonio Gaudi, the mountainous region of San Sebastian offers fewer crowds, world-class gastronomy indulgences that are simply life altering and stunning gothic architecture. Coupled with its London-fog-like, darkened cloudy skies, the classic European-style building designs and narrow alleyways of the city made me feel as though I was taking a stroll through scenes straight out of a Sherlock Holmes novel. In the city center, travelers can immerse themselves in a plethora of fun and leisurely activities -- whether it’s dining, shopping or simply enjoying a brisk walk or bike ride through the quiet and virtually traffic-free streets. For shopping-lovers looking to burn up some plastic, the city is filled with both bargain and high-end designer shops, including some of Spain’s most hallmarked stores: Loewe, Massimo Dutti, Pull & Bear, Zara and Mango. Shoppers should keep in mind that in true European siesta style, many establishments in Donostia open late and close early, and may have midday break periods. This is especially true with dining establishments, so travelers are best to rely on their hotel for breakfast or midday snacks. If you’re looking for something a little more adventurous than a laidback stroll and racking up your Visa balance, fret not because despite its seemingly calm coasts, San Sebastian is actually known for its great surfing conditions. Come blue skies or gloomy downpours, you’d be hard-pressed to ever find Zurriola Beach void of surfers. Located on the eastern of the Beach of La Concha, this surfing hot spot offers some of the region’s best white cap swells. And if you’re looking to tackle a more touristy itinerary, a trip up Monte Igueldo is a must for a stunning birds-eye view of the city’s long-stretch of coast. The historic funicular de Igueldo is the most popular option up Monte Igueldo, which boasts some of the most breathtaking panoramic views of the Bay of Biscay the region has to offer. For quick day trip ideas venturing around the outskirts of the bayside city, the colorful streets of Hondarribia’s “Walled City” was at the top of my list. Just east of San Sebastian, about a half hour drive away, Hondarribia is the only Gipusoka town that still retains its Renaissance walls. The area is said to date back to the Paleolithic Age, roughly 2.6 million years ago. Along with its historic walled city, Hondarribia next biggest perk is its strategic location right on the coastal border, making it a mere 10-minute boat ride to reach the south of France. 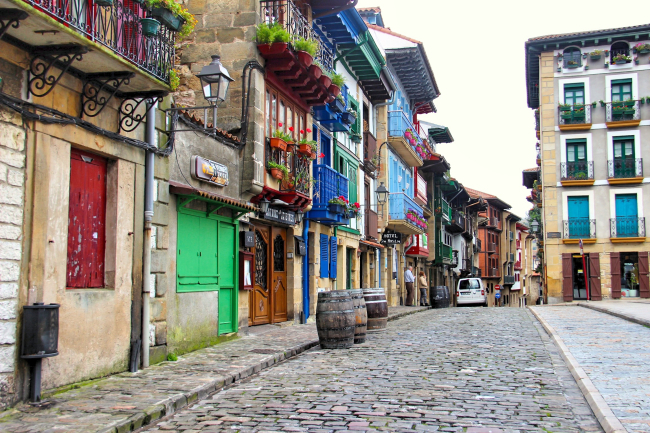 With its serene atmosphere and picturesque cobblestone streets, the suburb village of Tolosa in the southern hemisphere of the Basque region is also an ideal hassle-free trip to experience Northern Spain’s countryside village splendors. 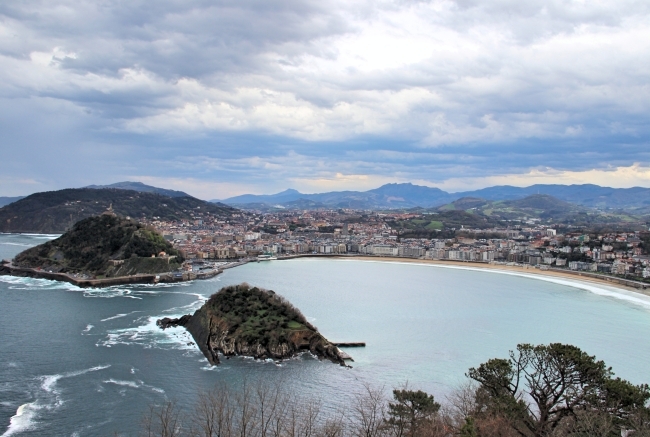 In a city that knows how and loves to indulge, good food and good wine is a religion of its own in Donostia. While the coastal region does offer more than its fair share of touristic activities and adventures to fill a traveler’s appetite, there is no denying the greatest highlight of this year’s European capital of culture -- the gastronomy. This coastal town with a population of only 186,000 is home to more Michelin stars per square meter than glitzy fine-dining hub Paris. When it comes to San Sebastian eats, the locals have impeccably high standards, akin to any of the world’s famous culinary cities, guaranteeing you will stimulate your taste buds like never before on a European vacation that will act as a celestial indulgence for your mouth and stomach. “Us locals have this running joke that we have the highest number of Michelin star restaurants to population ratio in the world,” said local tour guide Lourdes Gorrino Arrieta. “For us, food is one of the most important parts of our culture and everyday life so this is why even in this small region, you will find some of the world’s finest restaurants,” she added. However, you don’t need to break your wallet and dine at a Michelin star establishment to enjoy mouthwatering dishes. San Sebastian’s pintxos -- more commonly known as tapas -- culture is hailed as some of the best in all of Spain. Paying homage to the city’s love of fine dining and fine wine, San Sebastian-native and local guide Eskerne Falcon of Discover San Sebastian offers the most vivaciously entertaining and scrumptious pintoxs tour that was without a shred of a doubt the biggest highlight of my Donostia experience. “Only the locals know that you are not supposed to get all your pintoxs at one bar,” said Falcon, who ensured the night of pintoxs indulgences featured the freshest and off-menu bite-sized delights. Now when it comes to wine, while many parts of country are known for being the land of fruity sangria, in the north, the locals are all about one drink -- txakoli. Txakoli is a white wine that contains natural CO2, giving off a delectable hint of fizz landing it in the category of a wonderful wine-champagne hybrid, and pairs beautifully with almost any serving of pintxos. 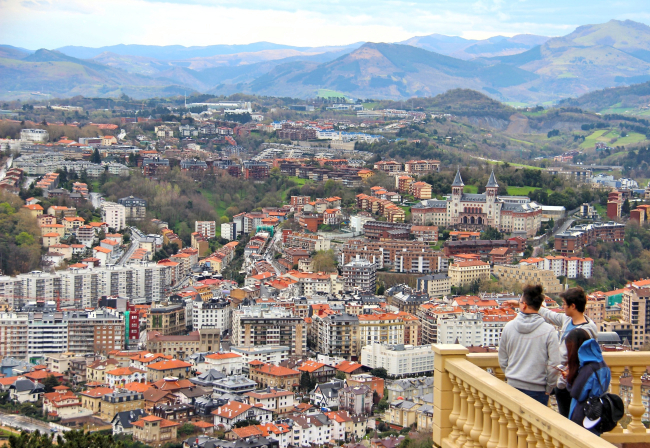 This is yet another “must” among the handful of cultural delights to experience when making your memorable visit to the charming and visually stimulating Basque region of Spain. 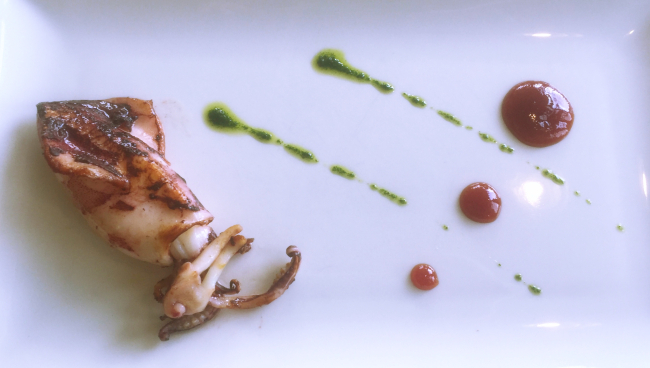 "An authentic taste of Spain in Madrid"